Why spend hours & hours looking for art to match your furniture or your colour scheme, when you can simply send us a photo of the pattern or a colour you love & we'll paint it for you! Art commissioned to order. Don't search for it. Commission it. Colours, textures, patterns. It's a personal thing, isn't it? 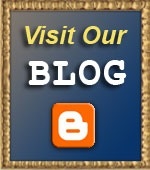 When you've chosen the right ones for your home or office, you just know. 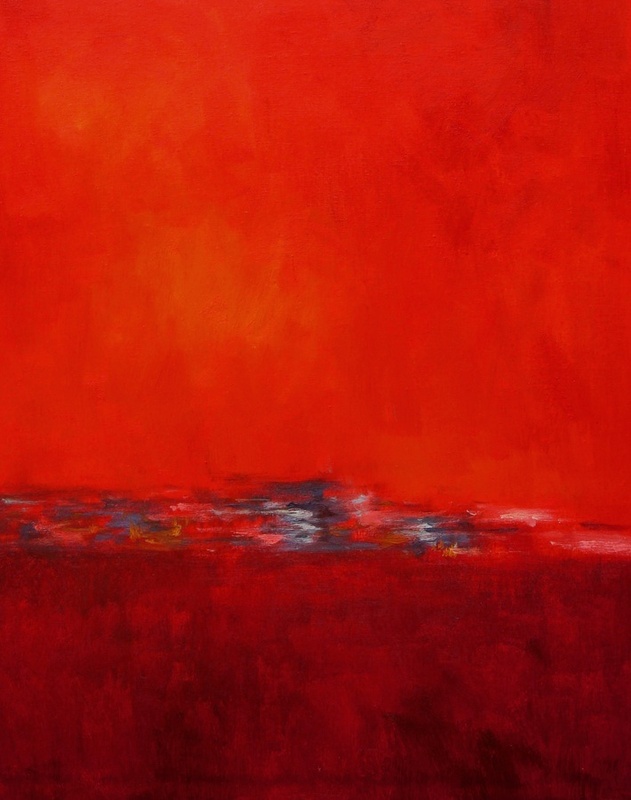 But what about art to complement your décor and taste? 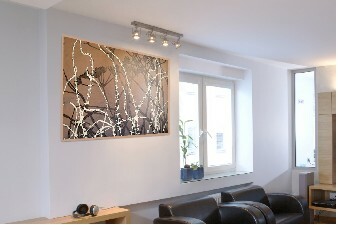 Especially if you have big bare walls that need to be covered and need your artwork to be a specific size. 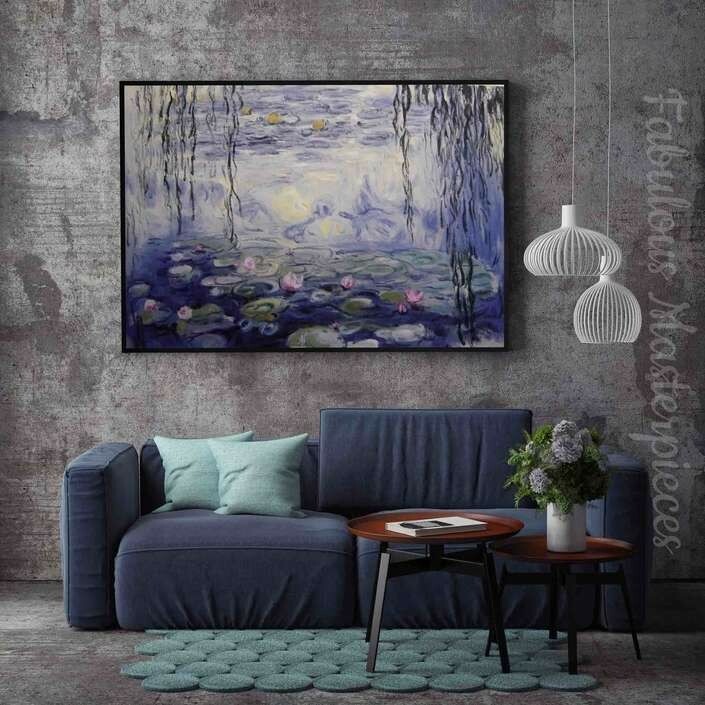 That coupled with finding art that not only goes with the room but your style, that can be harder (and much more costly) to find. 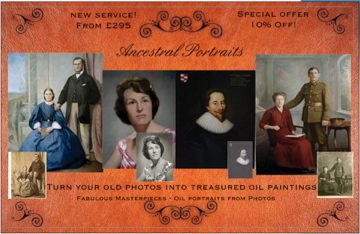 That's the beauty of our 'Fabulous Masterpieces Designer Art' service. 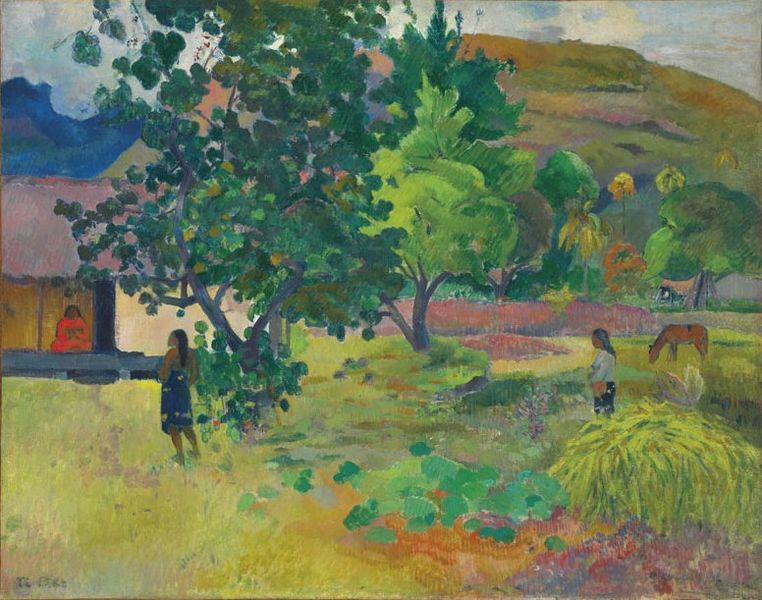 You generate your own paintings, starting with what's special to you. 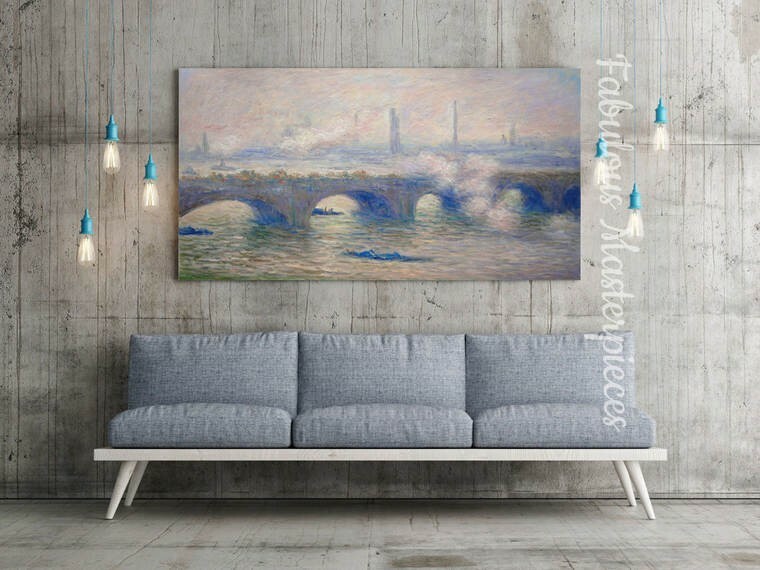 Hadpainted to budget - Tell Fabulous Masterpieces the budget you have for your art and we'll make sure whatever it is you'll get stylish commisioned to order art that you'll love. 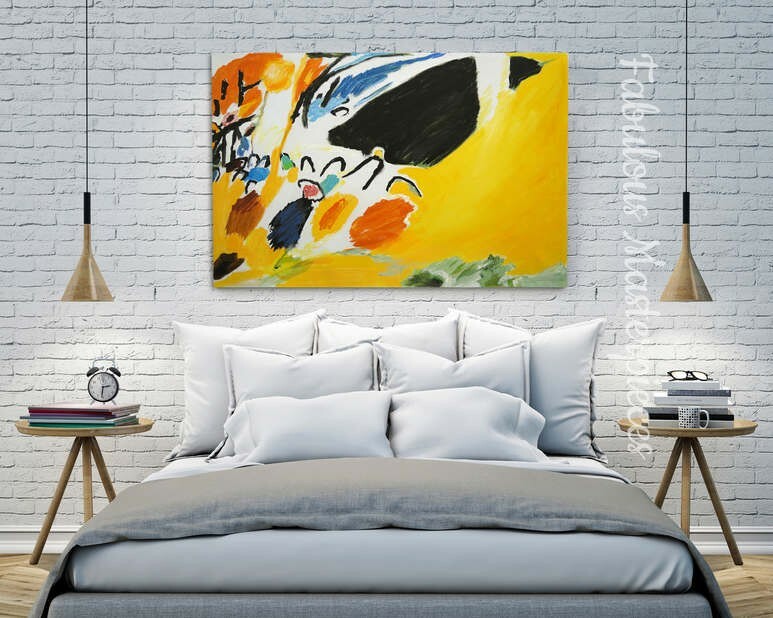 Handpainted to the exact colours you need - In some cases you may want your art to be painted in certain colours, either to go with your colour scheme or colours that you simply love and want Fabulous Masterpieces to paint your oil painting in. No problem. 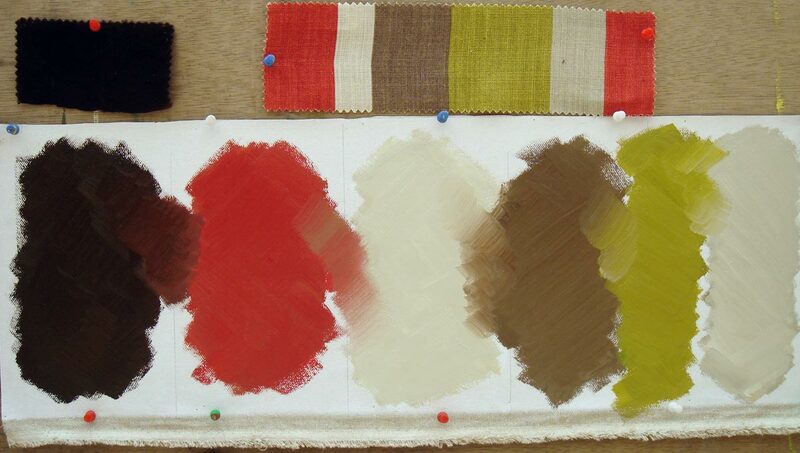 Take a look at the fabric sample shown below to see how our talented artists can paint your art with the colours you specify. Perhaps you're not sure how to proceed, and could benefit from a little advice. We'd be more than happy to talk over your ideas and make suggestions. 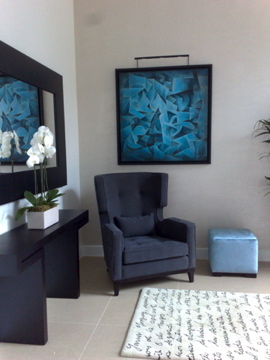 See what fabulous Masterpieces were able to create for this client, who wanted a painting based on the pattern of her cushion. 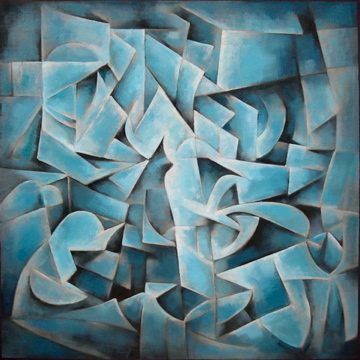 designer art, bespoke art, bespoke paintings, designer art uk. 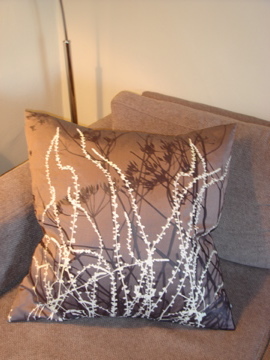 Sophie Ottley loved this pattern and colour of her cushion, she thought it would make a great masterpiece. 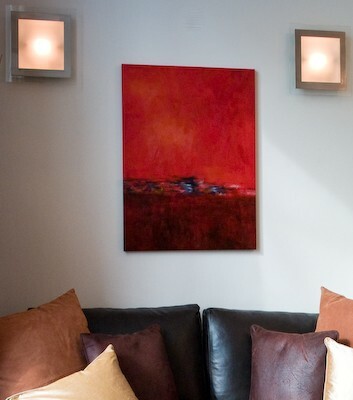 Resulting oil painting shown on the right, hand-painted onto linen canvas using cushion as inspiration. 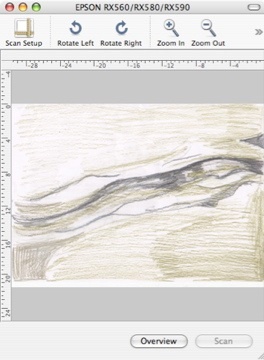 Perhaps you know what you want like this client who sketched her idea of her ideal painting. 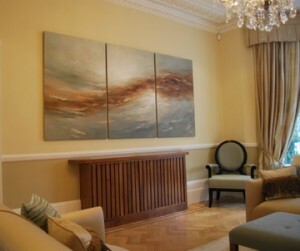 We then painted her a beautiful triptych, completely custom-made to her specifications. 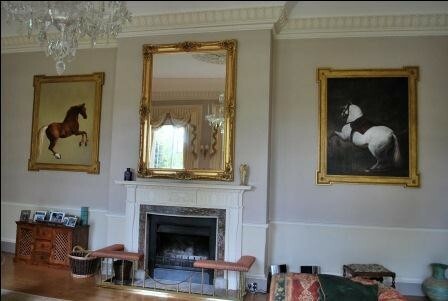 If you're still not not sure what style of art would best suit your home you can do 2 simple things. 2. 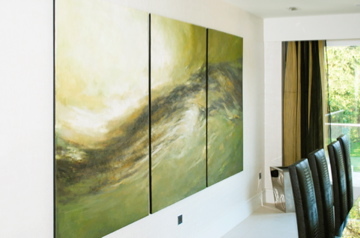 Book a consultation with Fabulous Masterpieces' interior designer, who will go to your home (within the M25) and with your input of course, will design your very own stylish and completely tailor-made artwork to really complement your taste and room. 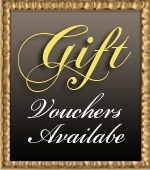 (Small fee applies, which is refundable from the cost of your painting). 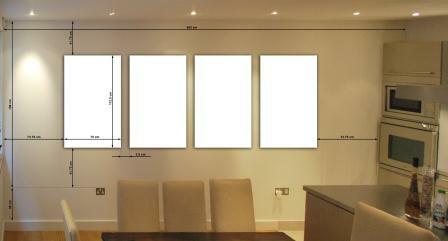 vfbespoke art, designer art, bespoke paintings commissioned to order art. 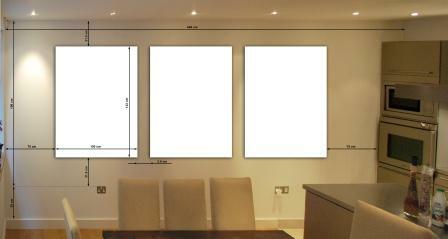 Do you require Mock ups? 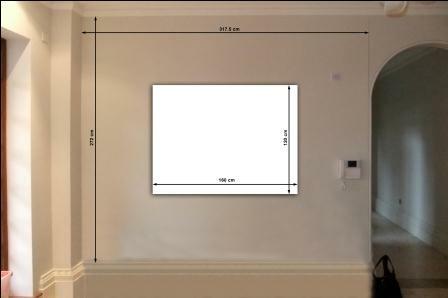 If you're not sure about what dimensions you should commission your artwork in and how it would look on your wall, we do offer a mock up service! 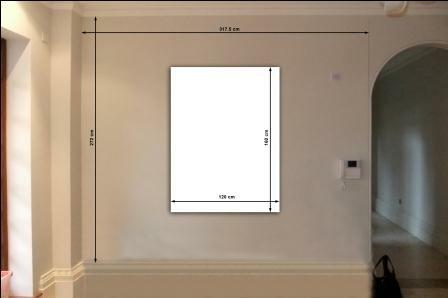 All you need to do is email or post us a photograph(s) of where you're thinking of hanging your painting and we'll provide you with mock ups on how it will look with different alternatives. We charge £35 an hour for this service or £20 for just half an hour. Want to learn more? Please contact us. 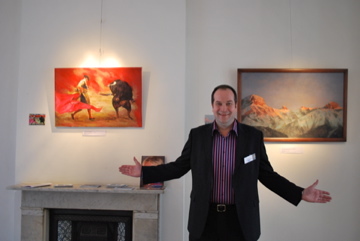 Would you rather have a tetraptych ( art work in 4 parts) or a larger triptych? What dimensions would you prefer? 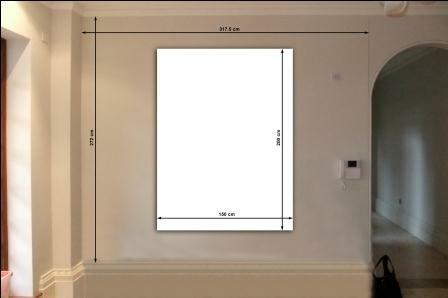 As you can see, this is a great accurate way and a very low cost alternative before commissioning a painting to see what size would best suit your wall space and taste. 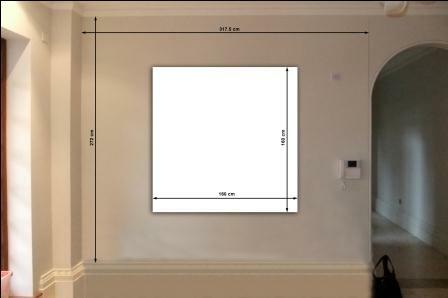 Your unique painting can start from just £300, including free delivery. 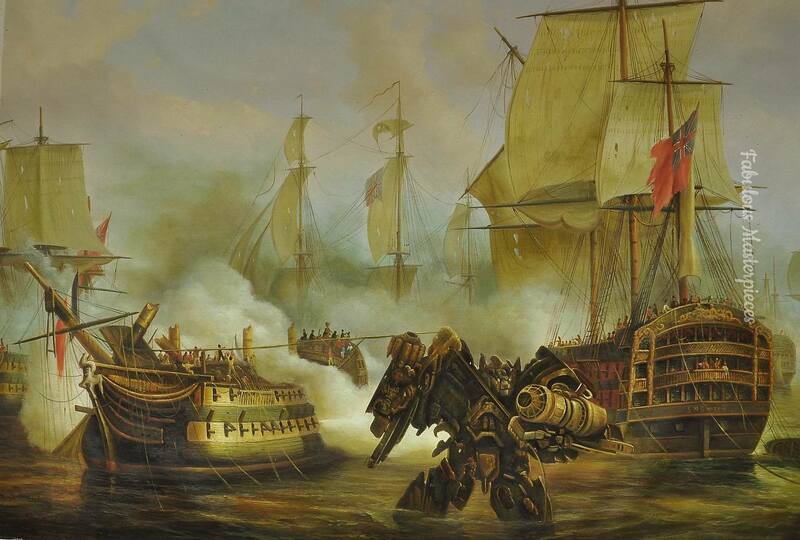 All paintings are genuinely 100% hand painted on luxury linen canvas with superior Winsor & Newton oil paints. 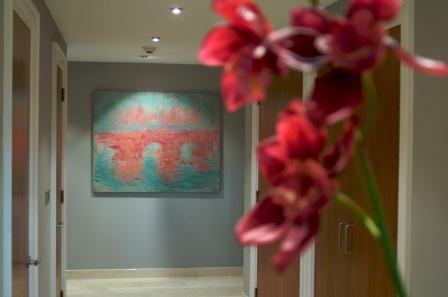 bespoke art, designer art, bespoke art uk, uk designer art, bespoke paintings and commissioned to order art..